1. Give me an example of a performance assessment. 2. Explain how you use assessments as a way to improve student learning (click here to read a possible response). 3. What methods have you used or would you use to assess student learning? 4. What standards of measure will you use to access your students? Will you use state, national, or local standards? 5. Other than tests, how do you assess student learning? 6. How do you prepare your students for standardized tests? 7. If students could describe you using one word, what would that word be? 5. Are you an empathetic person? Give an example. 6. How can you tell that a person is a good listener? 7. Are you an objective person? Give an example. 9. What do you want to do with your life? 10. What was the most frustrating thing that happened to you as a student teacher? 11. What are your strengths? What are your weaknesses? 12. What is the role of the principal? Does a conflict exist between your perception of a principal’s role and his/her role as your evaluator? 13. Describe your student teaching experience. 14. During your student teaching, were you ever involved with a situation at school involving racial tension? If so, how did you handle it? 15. What subjects have you taught? 16. Are you patient? Give an example. 17. Do you ever feel angry towards your students? 19. If you could create the ideal school, what would it be like? 21. What do you like most/dislike most about teaching? 22. How do your life experiences prepare you for teaching? 23. What teams and/or clubs did you belong to as a student? 24. What activities would you coach or advise as a member of this staff? 26. 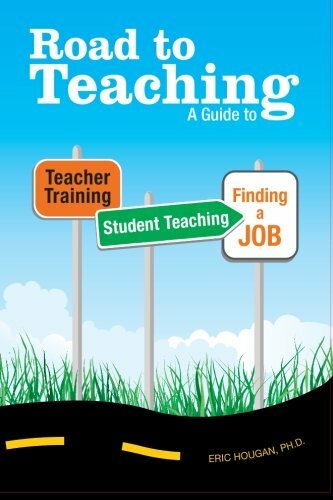 What do you like most about a teaching career? 27. Describe “professionalism.” What does it mean to you? 28. Why should you be hired for this position? 29. Tell us/me about your planning habits. If there a particular format that you use? Do you plan on a weekly basis? 30. Scheduling is tricky and difficult at times. How do you approach conflicts that arise in regard to scheduling with your colleagues? 31. State your educational philosophy. How do you incorporate it into your daily instruction? 32. What are the three most important characteristics of an effective educator/teacher? 33. Why do you feel you are qualified for the position for which you are applying? 34. How would you handle difficult parents? 35. What three words would your students use to describe you? 37. What does it mean to be a teacher? 38. What is the ideal relationship between a teacher and student? 39. What motivates you to achieve your goals to be successful? 40. How would you describe yourself as a team member? 41. How would others describe you as a team member? 44. What are some characteristics that you would find favorable when dealing with administration? 45. What is a challenge that you feel you recently overcame (in your teaching career)? How did you search out resources to help you do so? 47. How do you manage stress? 48. Are you fluent in any language other than English? 49. What else would you like to share about yourself? 50. What experience have you had working with at-risk students? 51. How would you deal with an uncooperative colleague? 52. What would you expect your students to have gained after having you as a teacher? 53. How would you handle a parent that disagrees with your grading method or an assignment? 54. How do you keep parents informed of student progress? 55. How would you describe a gifted student? 56. Have you earned an honor or an award anytime in your life? If so, what was it? 57. What part of teaching do you look forward to most? 58. What part of teaching do you look forward to least? 59. What are your endorsements in? 60. How would contribute to building and improving staff morale? 61. How do you manage (cope with) stress? 64. Where do you see yourself in 5 years? 65. What do you know about AVID and would be interested in doing it? 66. Does a student being at risk have to do with his/her intelligence level? 67. What are your experiences working with a Professional Learning Community? 68. Describe your education, experience, and interest in the ___ School District that will make you a viable candidate for this position. 1. If a student said she thought you were the worst teacher she ever had, what would you say? 2. If a student came to you and said, “None of the other students like me,” what would you tell him/her? 3. How do you feel if a student does not meet a deadline? 4. Do you believe you should build rapport with students? If yes, how? 5. How do you feel about noise in the classroom? How do you handle noise in the classroom? 6. How do you organize your classroom? 7. Describe the first five minutes of your class. 8. Give me an example of a rule or procedure in your classroom? 9. You have a child with autism in your classroom who has a hard time with transitions. How do you accommodate this child? 10. Provide an example of how you handled a peer conflict. 12. What do you do with a “trouble-maker”? 13. What do you do when a student refuses to do his or her assignments? 14. What do you know about PBIS and how is it used in your classroom? 1. Some people say you should demand respect. Do you agree or disagree? 2. It is the first day of class, you are writing something on the board and a paper wad hits you in the back, what would you do? Later the same day, if all the students drop their pencils, what do you do? 3. How do you handle a child who seems gifted, but is a discipline problem? 4. Describe your discipline plan. 6. Describe a troubled student and how you helped him/her. 7. How would you handle a student that constantly disrupted the learning environment? 9. You witness a student bullying another student in the hallway. How would you respond? 10. A student throws a book at another student during class. How would you respond? 11. A student swears in class. How do you respond? 1. What will you do to engage parents? How will you get them actively involved in their child’s education? 2. How do you give your students recognition? Do you think a student can have too much recognition? 3. What are various reading strategies you use? 4. How would you incorporate math into your curriculum (for non-math teachers)? 5. What strategies would you use to enhance students’ writing skills? 7. What’s the difference between a good and a great teacher? 8. How would you handle making a difficult phone call to a parent? 9. Explain how you use differentiated instruction in the classroom? 10. Describe two to three instructional tools you need in the classroom? 11. What role do standards play in your classroom? 13. Describe your ideal lesson. 14. Have you team-taught? What’s your opinion on it? 15. Describe a teaching strategy you used to maximize the learning potential of all students. 16. How would you decide what should be taught in your classroom? 17. Describe any multicultural, gender fair classroom practices you have used in the past and how you would ensure equality among your students. 19. Describe your use of auditory, visual, and hands-on teaching techniques. 20. Provide an example of a successful lesson that you created and used. 22. Describe adaptations have you used with students with special needs. 23. Full inclusion is part of the educational environment. How would you meet the needs of a full inclusion child and design a program? 24. How do you inspire creativity in your classroom? 25. A student continually fails to turn in their homework. How do you respond to this? 26. How would you meet the needs of English Language Learners in your classroom? 29. How does your philosophy translate to the types of lessons you actually have students complete in your classroom? 30. What are some of your strategies for differentiating lessons? 31. Scenario: There are students from four different ethnic groups in middle school the principal added a student with pretty severe emotional/behavior problems and a student with cerebral palsy in a wheelchair. Students from the ethnic groups stick together ,never making friends with outsiders. Many of the subgroups communicate in their native language. The emotionally disturbed student is making matters worst by telling ethnic jokes to anyone who is listening. There are rumors of an ambush after school to teach the emotionally disturbed student a lesson. You agree that the whole class for that matter needs a lesson, but not this kind. Critically think how you could handle this situation? How would you teach the class to feel more comfortable together? What is your first goals in working on this problem? And how could these issues affect the grade level you teach? 32. How do you approach a mixed-ability class? 33. Please describe how you use assessments to increase influence the instruction of your students. 1. What are your goals for next year? 2. What is the last book you read or conference you attended that benefited you professionally? 3. How do you keep abreast of your field? 4. What will you be doing in five years? 5. What is the most significant professional development you have received? 6. How do you evaluate your own teaching? 7. What professional development workshops would you like to attend? 1. How do you use technology to enhance student learning? 2. How would you rank these in importance and why? Planning, discipline, methods, evaluation. 3. How do you encourage students to learn? Can a student be forced to learn? 4. Do you make learning fun? Give an example. 5. How do you encourage students to be active in learning? 6. How do you communicate your student learning expectations? 7. How do you know that your students are learning? 8. How do you support 501 students’ and special services students’ learning? 9. What is the number one factor that contributes to student learning? Read more about behavior-based interview questions and how to answer by clicking here. 1. Describe the experiences you have had in implementing a standard-based curriculum. 2. Describe a unit of curriculum that you have taught. 3. Tell me about an individual lesson that went well. 2. How would you write a plan and what is included in each plan? 1. Describe classroom management plans that you have used. 2. How have you motivated your students? 1. Describe a grading system that has worked well for you in the past? 2. How have you dealt with students who do not complete their homework? 1. Describe how you conduct a parent/guardian conference? 2. Share an example of a communication with a parent that helped you in dealing with the child. 3. What have you read/studied recently that led to a change in your classroom? 1. What are the most important things a child should be learning in kindergarten? 2. What type of reading program did you use in student teaching? 3. If I walked into your classroom during reading time, what would I see? 4. Tell me what you know about the 4-block Literacy Model. 5. How would you handle difficult parents? 6. Tell me what you know of the reading first grant? 7. List 3 to 5 current best practices in education which have direct impact on student achievement. Choose one of the practices you listed and describe how you would implement it into your instruction. 9. What math programs do you use (or plan to use) in your classroom? 10. How do you teach writing? 11. What are educational issues or trends affecting elementary teaching? 14. What are the list and describe the 5 reading components? 15. All of your teaching experience so far is in lower elementary grades, do you feel you are capable to teach the upper elementary grades (3,4,5) and why? 16. Please tell us about your background, your personal characteristics, and attributes that contribute to you being prepared to be a X grade teacher. 17. Why are you choosing to work for X Elementary School? 18. What are the components that would be involved in the creation of a balanced literacy program in your classroom? 2. If you had to choose two required reading books for middle school, what two would they be? 3. How will keep middle school students engaged 90-100% of the time? 4. Why do you want to teach at middle school? 5. What are the benefits and challenges to working at the middle school level? 6. How would you respond if you saw a student being bullied in the hallway? 7. How would you describe middle school students? 8. What makes you well-suited to teach middle school students? 9. What activities have you have implemented that reflect your philosophy of education as it relates to middle school students? 1. How do you keep abreast of current business trends? 2. Give an example of a lesson or unit that teaches one or more employability skills. 3. How would you incorporate leadership into your classroom? 4. What are the most desired skills employers want to see in their new hires? How do you as a teacher address this? 5. How will you connect your curriculum to the real-world? 6. How will you build partnerships within the local and business community? 8. How important are soft skills compared to hard skills? How will you teach soft skills? 9. Career exploration is important. How will you incorporate this into your class? 10. Describe your technical expertise. 2. In foreign language classes, when students begin to fall behind it can be detrimental to their performance because so much learning is built on previous knowledge. What interventions will you use to help the students who are not achieving academically in your classroom? 3. If you HAD to pick one out of the five (speaking, writing, listening, reading, culture), which do you think is the MOST important? Why? 4. Going on your response to #3, what do you do to help students with that everyday in your room? What activities force students to do that “thing” (speak, write, etc.)? 1. Que libro leíste el ano pasado que de que era? 2. Como puedes apoyar los alumnos en sus vidas personales sin ser sus amigos? have a negative attitude towards the class? describe how you think it could/would be done. enthusiasm and motivation towards learning Spanish? 7. ¿Cómo aprendió Ud. su español? 1. How would you welcome a student who is new to the country into the school? 2. How do you incorporate cultural awareness and sensitivity into the curriculum? 3. How do you communicate classroom expectations to a group with varying language abilities? 1. What strategies would you use to help struggling readers in the Language Arts classroom? 2. What strategies will you use to teach grammar? 3. Give us an example of a unit designed to teach the elements of fiction? 4. Describe a unit you designed for the classroom and focus on the process of designing the unit from beginning to end. 5. How will you incorporate culturally diverse literature in your class? 6. Discuss the last author/book you have read? 7. How do address plagiarism in your classroom? 8. What is your approach to teaching literature and/or language arts? 9. If you could only teach 5 novels, which would you pick and why? 1. What manipulatives do you use? How effective are they? 2. Give an example of a topic (i.e. fractions) that students tend to have conceptual difficulties with. Now teach me this topic (and show me how you would handle dealing with the conceptual problems). 3. How will you make math relevant to the students? 4. What is your opinion on using calculators? 1. What is your philosophy on teaching science to elementary kids? Teenagers? Economically disadvantaged kids? 2. Why do you want to be a science teacher? 3. What Science organizations are you involved with (as a member or other)? 4. Tell me about a current science event that you have read about this week? How would you use this in the classroom? 5. In which field of science do you feel particularly strong? Explain. 6. In which field of science do you feel the least knowledgeable/competent in? Explain. 7. If you were hired to teach starting this September, how would you go about setting up your science program? 8. What science curriculum do you have experience with? What do you like or dislike about them? 9. What role do you believe that the adopted Science book should serve in your classroom? 10 Where do you find resources other than the Science book in order to keep your students current on the constantly evolving knowledge of science? 11. What do you understand the inquiry method to be in science? 12. Why would or would not you use lab groups or lab partners in your class? How would your establish lab groups/lab partners (what criteria would you use)? 13. How would you evaluate lab groups/partners to be to know that each student is learning and participating? 14. How would you integrate technology into your science teaching? How would you integrate math? Reading? Writing? Social Studies? 15. How will you make your subject(s) relevant to the students? 16. How important is hands-on lab and inquiry lessons? 17. What lab safety methods do you implement in your program? 18. What is your type of assessment for lab groups? 1. What do you believe are the three major challenges facing special education today? 2. A special education teacher must be both organized and flexible. Give examples of ways that you have demonstrated both of these characteristics. 3. What does “teamwork” mean to you as a special education teacher? 4. How would you communicate with the parents of your students? What issues would prompt you to contact them? 5. How would you delegate responsibilities to a paraprofessional and monitor his/her performance? 6. How do you evaluate your own teaching skills to insure continual growth and refinement? 7. Paperwork/documentation is a strong concern in the area of special education. How will you manage those demands, in addition to your teaching responsibilities? 8. Describe the components of a reevaluation report. 9. Describe the main components of an IEP and what should go into each section. 10. One of the challenges for a special education teacher is documentation. How would you collect and record necessary data for the students’ ERs, IEPs, and NOREPs? 11. Describe how you would determine and deliver appropriate individualized instruction to the students. 12. What types of assessment have you used? What assessments would you use to document student learning and plan for future instruction? How would you use assessment to develop and modify IEP goals? 13. Unfortunately, there are some negative elements that you will encounter within the profession. How will you interact with those individuals so they will not alter focus? 14. To what specific area of special education are you most attracted and why? 15. Aside from your coursework, what additional reading have you done that is pertinent to your field? 16. The US Department of Education now recommends that schools use the RTI (“Response to Intervention” or “Response to Instruction”) Model rather than the Discrepancy Model to identify children with specific learning disabilities. Tell us what you know about this model. 17. How do you integrate technology into your teaching? Have you had any experience with specific technology to support the needs of special education students? 18. Given a wide range of ability levels in a classroom, how do you assure compliance with each child’s IEP? 19. Have you had any experience supporting students with IEPs in the regular classroom? How have you or would you do this? 20. What are your views on inclusion versus self-containment of special education students? 21. What would you do to address inclusionary support with the general education staff? How would you deal with a general education teacher who refused to honor IEP modifications for the special education students in their classrooms? 22. A general education teacher is concerned that a child with an IEP does not belong in her classroom due to behavior problems. How do you respond? 23. What do you feel is the best service delivery model for special education students? 24. How familiar are you with the IDEA guidelines for special education? What are some of the timelines related to IEPs? 25. Explain the impact of the Gaskins’ settlement on special education in the public school setting. 26. Describe both a successful and a challenging collaboration experience with a general education teacher. 27. How will you coordinate/facilitate instruction to meet Adequate Yearly Progress goals? 28. Why do you want to work in this district/IU? Why should we hire you? What distinguishes you from the other candidates who applied for this position? 1. Have you collaborated with another teacher in the same grade-level, but a different subject, e.g. Language Arts? If so, please describe this. 2. Do you make it a habit of watching the news or reading newspapers or news magazines? Do you watch local or national news programs? 3. Do you consider yourself well aware of current world issues and politics? 4. How would you integrate a school wide curriculum on a social issue such as gay rights into your classroom? 5. How do you relate social studies skills to jobs and careers? 6. Give an example of a history lesson you have done with your students. 7. How do you use primary source documents in your lesson planning?